If you are visiting Florence this December you cannot miss a visit to Palazzo Medici Riccardi where you will have the opportunity to enjoy some of the finest masterpieces of Italian art as well as getting your Christmas shopping done helping some of Italy’s most famous non-profit organisations. Created in order to celebrate the hidden beauties of Florence, 'Le stanze dei Tesori' (The Treasure Rooms) exhibition is a collection of art pieces from the 19th and 20th centuries from other museums like Bardini, Stibbert or Horne which include incredible masterpieces but are usually dwarfed by the fame of the great collections of the Uffizzi or the Accademia. The initiative was conceived by the Piccoli Grandi Musei (Little Big Museums) Project. The exhibition begins at the Medici Palace and then moves to various other museums. It will be open until April 15, 2012. Another interesting exhibition takes place at Palazzo Medici Riccardi and is entitled 'Garibaldi fu ferito' (Garibaldi was wounded) after a famous old Italian song which has the same title. In order to celebrate the 150th anniversary of Italy's unification, the Province of Florence organised a special exhibition to tell the benevolent story of a Tuscan physician and patriot, Ferdinand Zannetti. He is most famous for removing the bullet from Giuseppe Garibaldi's foot after he was shot during the Battle of Aspromonte in 1862. The exhibition takes place in two rooms of the Medici Palace where documents and objects on display tell the patriotic story of Zannetti. Some of these include Garibaldi's gun, Zannetti's surgical instruments, paintings, poems, and a letter written by Garibaldi to Zannetti one year after the operation. The exhibition is currently open to the public and will remain open until January 31, 2012. For anyone looking to buy goods and products made in Italy, has a chance to do so from December 16th until December 20th in the Medici Gallery in Florence. For five days, the “Mercato della Legalità” will be open from 9am-7pm. There will be pasta, tomato sauce, wine, olive oil, oranges, vegetables and tomatoes for sale. 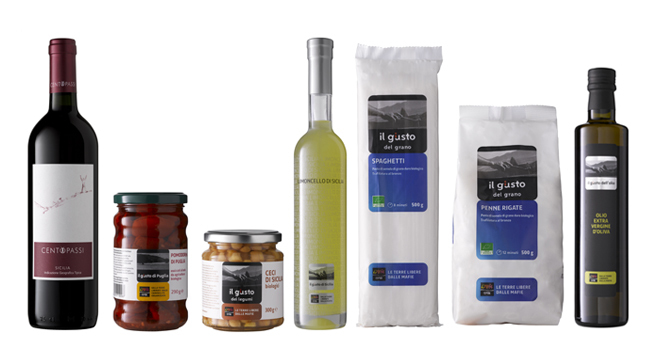 These are special products because Libera Terra, the non-profit organisation producing these organic products, works the land confiscated by Italian government to the mafia and other criminal organizations. Lastly, from December 8th until December 24th, the Medici Palace hosts the NGO 'Emergency' Christmas market. Emergency is an independent NGO, founded in Italy to provide high quality, free health care to people in need in certain parts of Italy and especially to people in war and poverty torn countries around the world. The organization promotes peace and human rights. Thousands of volunteers and supporters make their work possible every year, as of this past September the organisation had already provided assistance to over 4.5 million people. Among the various charity products for sale you can find silk scarves, Cambodia's finest chocolate and baskets from Sudan. Also available is the new 2012 “Worlds against War” calendar. Emergency shops make it easy to find a gift for everyone. Proceeds from this market will be allocated to project related to Italy.